There is broad scientific consensus that the effects of climate change have devastated the world's reefs, recently ravaging large swaths of the Great Barrier Reef in Australia, one of the natural wonders of the world. 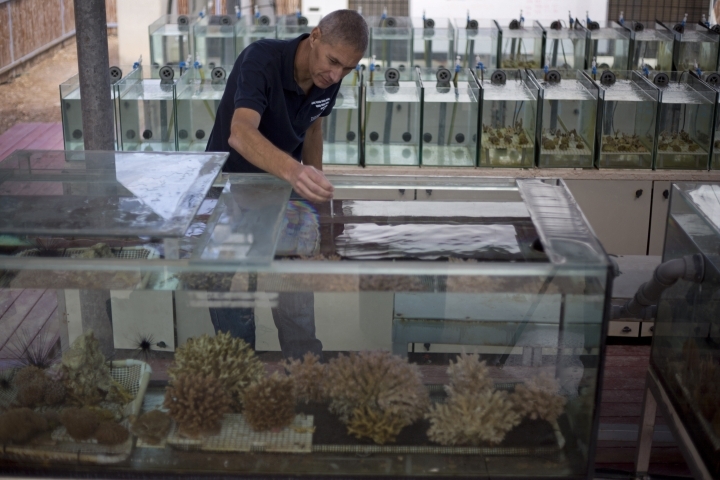 "Corals worldwide are dying and suffering at a rapid pace, but we have not witnessed a single bleaching event in the Gulf of Aqaba," said Maoz Fine, an expert on coral reefs at Bar-Ilan University and director of the research. Warmer water causes corals to eject the brightly colored plants that serve as their primary food and oxygen source. This causes reefs to "bleach," or take on a bone-white pallor that often portends mass mortality. While other hardy coral species can be found in the Indian and Pacific Oceans, "there's nowhere else in the world that reefs are this far away from their bleaching thresholds," said Fine. Plenty of other refuges remain unknown, but "this is the only spot we know of with a warranty ensuring these reefs stay safe for the next several decades," he said. 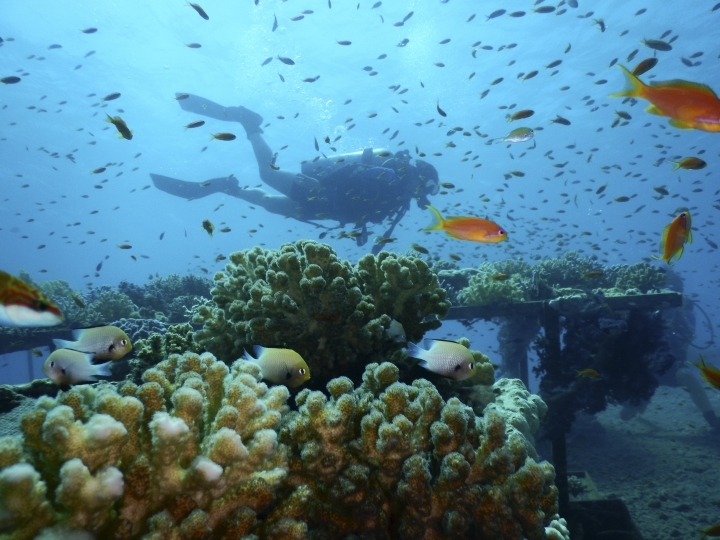 The Gulf of Aqaba has become a refuge for tough corals that are projected to outlast far worse future conditions. Fine's latest study, published this month in the Journal of Experimental Biology, found further cause for optimism: The coral species' thermal resistance carries over to their offspring, indicating that future generations will also remain immune to bleaching, with implications that could extend beyond this spot of the Red Sea. 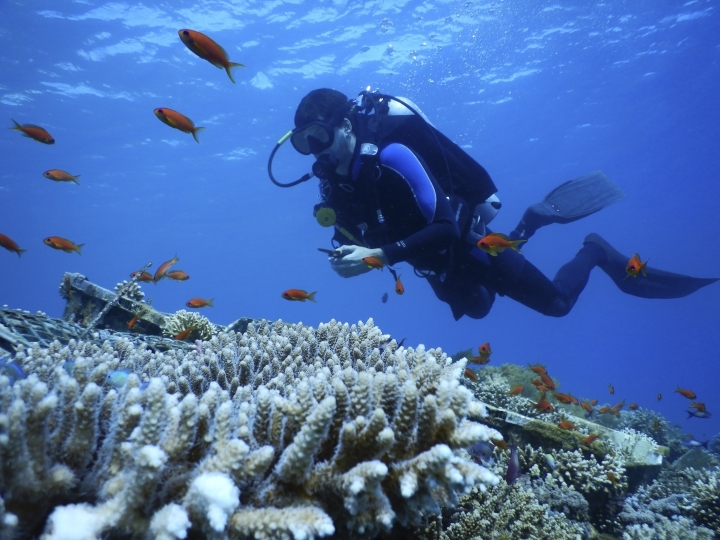 Fine's research credits northern Red Sea coral resilience to a giant natural selection event that occurred some 18,000 years ago. As glaciers retreated at the end of the ice age, reefs moved in to recolonize the southern part of the sea, where temperatures ran exceedingly high. "All corals were obliterated except for the best genotypes, the winners of the climate change lottery," said Fine. Today, these hardy corals continue to survive as Red Sea waters warm, only showing signs of heat stress at six degrees above the summer maximum sea temperature. "Not only does this give us an incentive to protect this special refuge as much as possible, but also allows us to find hints as to the most important genes for thermal resistance," he added. Picking out winning genes can contribute to an urgent worldwide push to restore and repopulate dead reefs. 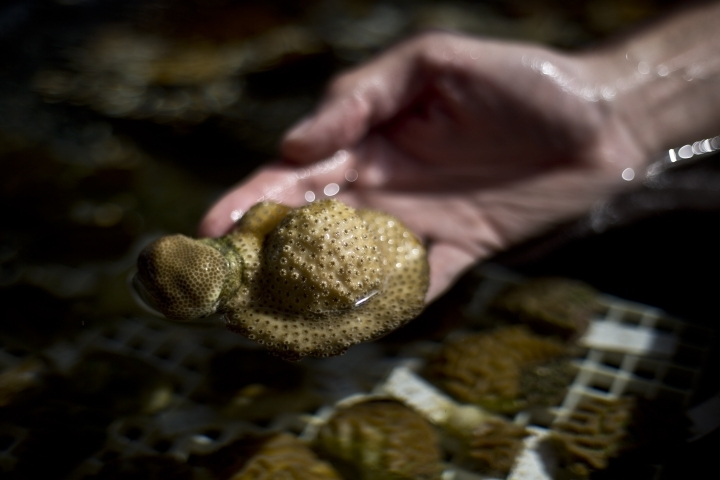 Some cutting-edge labs in Hawaii and Australia have even started crossbreeding the corals that survived or recovered from the mass bleaching of their reefs to create gene banks of "super-corals" that they hope can survive future elevated temperatures. 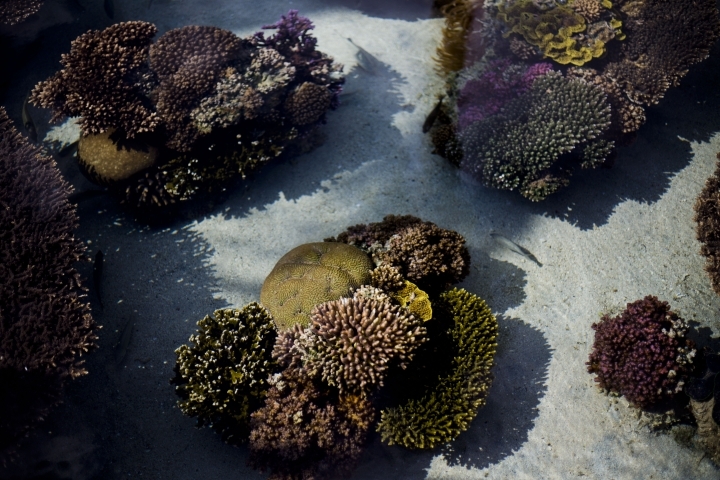 "If corals are surviving and reproducing in the Gulf of Aqaba under stressful conditions, and in the central and southern Red Sea they're not, we can reseed the hardy corals in nearby bleached areas," said Jacqueline De La Cour, operations manager for the U.S. National Oceanic and Atmospheric Administration's Coral Reef Watch, who was not a part of the study. 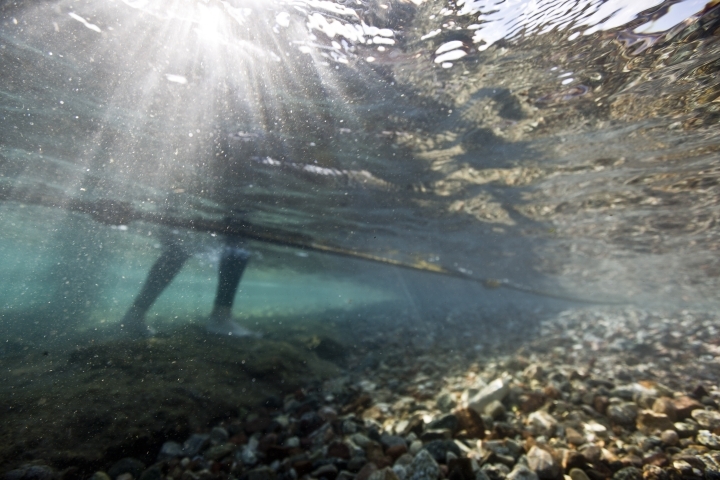 "Entirely new ecosystems that can withstand climate change would be established." 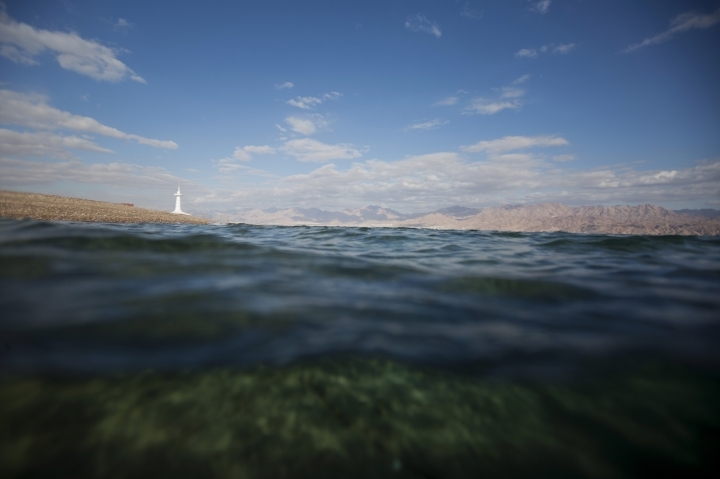 Jessica Bellworthy, a doctoral student in Fine's lab, said that while it's too soon to tell whether Gulf of Aqaba corals would retain their resilience if multiplied and transplanted to other environments, it's a "direction we could eventually take our data." 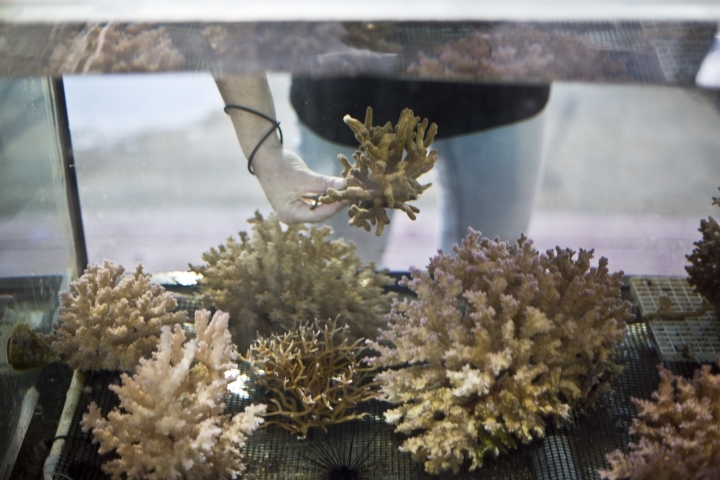 Fine likened transplanting corals to "playing God," saying that although such human intervention has become well-established, it carries ecological risks and raises ethical questions. For instance, should humans be introducing new species where there are natives? But some scientists contend that only a hands-on response can address accelerating reef mortality rates. From 2014-2017, corals experienced the most widespread and damaging "bleaching event" in global history, said De La Cour. Experts often compare reefs to rainforests when trying to convey their stunning diversity of life. "If you lose reefs, you lose everything that depends on them," said Michael Webster, executive director of Coral Reef Alliance, a San Francisco conservation group. "The survivors in the Gulf of Aqaba are only going to become even more essential to us over the next 100 years," said De La Cour. 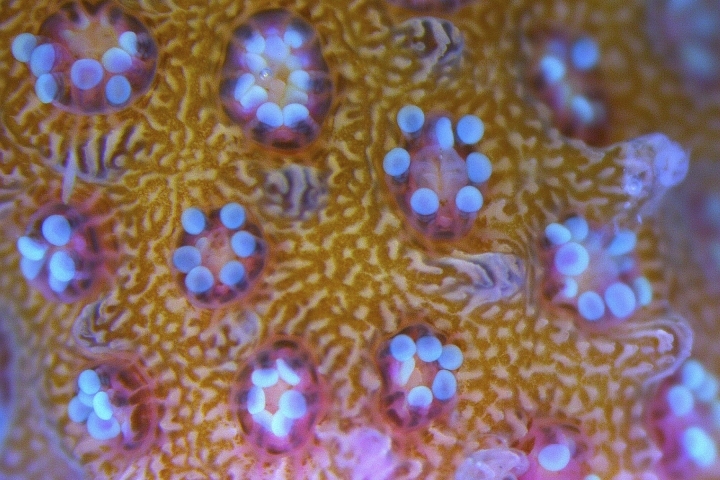 "Coral refuges show us that species can adapt. It gives us hope."